An unsurpassed leader in style and service, Kauai Marriott Resort offers its guests endless island hospitality marked by the warmth and magic of the aloha spirit. 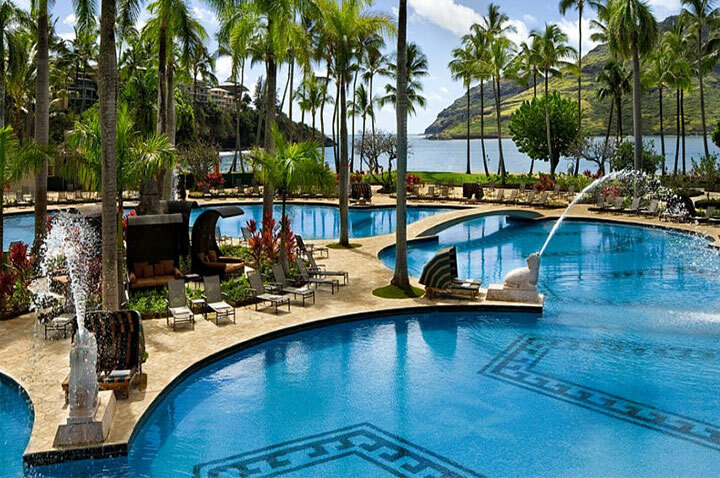 Found right on the captivating sands of Kalapaki Beach, the resort recently underwent a staggering $50 million renovation —including upgrades to all of its guest rooms, suites, restaurants and pool deck — ensuring that all guests now have the utmost experience in luxury and grandeur during their stay. The resort also offers a wide range of exciting recreational activities for guests to avail themselves of, as well as an 18-hole Jack Nicklaus-designed championship golf course located at the adjacent Kauai Lagoon Golf Club.